Need reliable tree surgeons in Trafford? Elm House Tree Services can help. Andrew Hampson owns and runs Elm House Tree Services with his highly skilled team. As a company we pride ourselves on being friendly and knowledgable. We are fully qualified and insured for every eventuality so you can be rest assured that the job will be done properly and professionally. If you need us to respond to you in a hurry then this isn’t a problem – we offer quick response times on all contact made to us. We are highly skilled and are City & Guilds NPTC qualified. We always come up with a plan first, bring the right tools and do the job. We get the job done fast AND to a high standard. We always deliver good results to ensure our customers are 100% satisfied. Nothing goes to waste, we always recycle all left overs. We will always quote our best price. We deliver the best end to end service to make sure our customers come back to us. We pride ourselves on being approachable and have a positive attitude! When looking for a tree surgeon we understand that you will be looking for someone who is competitively priced, but also someone you can trust at your home or at your commercial property. Elm House Tree Services are all these things. When we quote for a job we have to assess how large or small the job is to remove or trim a hedge/tree. When we come to quote, we are looking at the tree or hedge in question and how it sits in relation to nearby buildings that may need protecting in the process. Depending on how much equipment we need to bring, we may need to look at the access points for these. Smaller alleyways and awkward walls can be a challenge at times so this will need to be taken into consideration. Every company has their own set of criteria when they quote however here at Elm House we always put our best quote forward first. The list below will give you an idea of roughly how much it will cost to get us out to your job. Each job will need to be quoted individually however we hope this list helps give you some guidance. Tree Removal – £100+VAT which can increase depending on the complexity of the job. Why not check out our blog post “How Much It Costs To Remove A Tree” to look at some jobs we have done in the past and see how much we charged. Hedge Removal Or Trimming – Anything from £90+VAT. Read our blog post “How Much It Costs To Remove Or Trim A Hedge” to find out more about how we quote for this kind of job. We will be able to come and quote for your tree surgery job in Trafford quite quickly as we are nearby so be sure to get in touch today. Safety is very important to us and we are therefore all City & Guilds qualified so that we have the knowledge under our belts to do the job properly. We also have strong knowledge on tree and hedge species so that we can remove or trim items in an appropriate manner. Some trees or hedges may need to be trimmed at a certain time of year to keep them healthy – we will give you advice on this. If you are looking for a full removal we can also remove so that they will never return! We are professional and friendly and will turn up to your property on time. Our work can be quite noisy at times but we can discuss when would be best for us to carry out the work and when we are there, we will do our very best to keep noise to a minimum. We are respectful of your space as sometimes we will bring a few surgeons on the job, so rest assured we will keep in mind that this is your space too! Communication is important to us and we always endeavour to reply to calls, texts and emails so that you know what is happening and when it is happening. We are always happy to answer questions along the way. We hope to hear from you so why not get in touch with our friendly Trafford tree surgeons now! 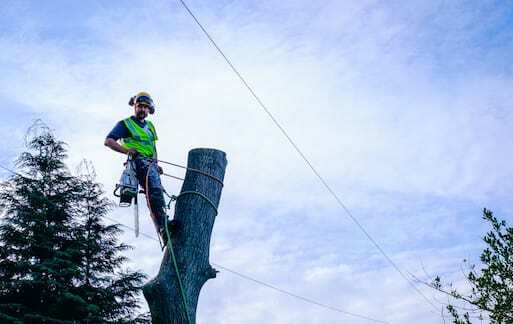 If you are looking for a tree surgeon in a different area of Manchester we also have tree surgeons in Manchester outside of Trafford fit for the job!